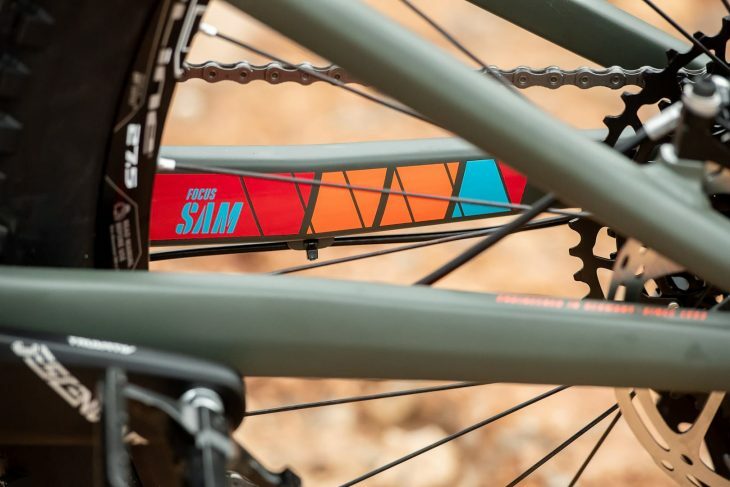 Our guy Rik Legge got the chance to ride the new Focus SAM at for a day at the recent launch event. Here are his first impressions. 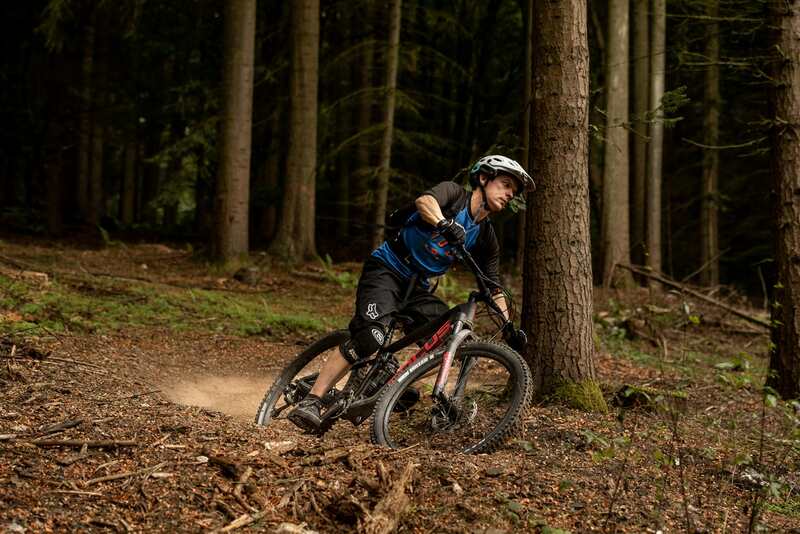 Rik aboard the full carbon 9.9 model. The 8.9 model has a carbon front triangle and alloy rear. 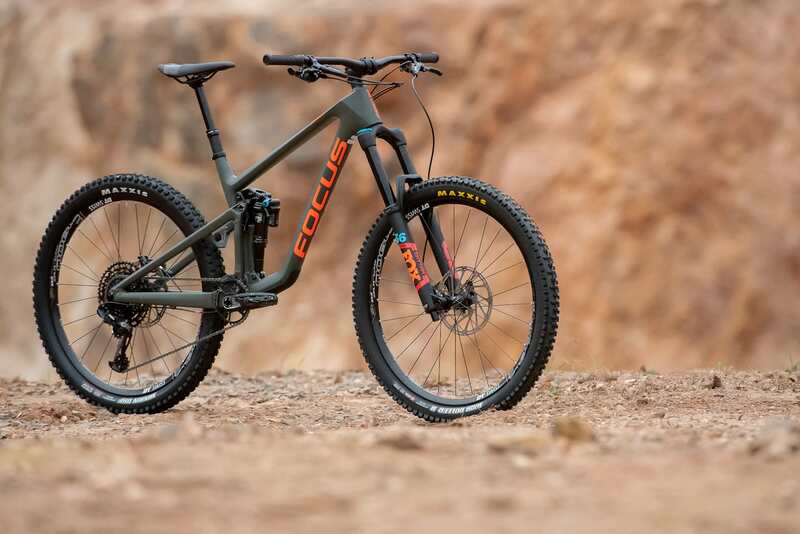 Focus has just launched the updated version of its SAM enduro bike. 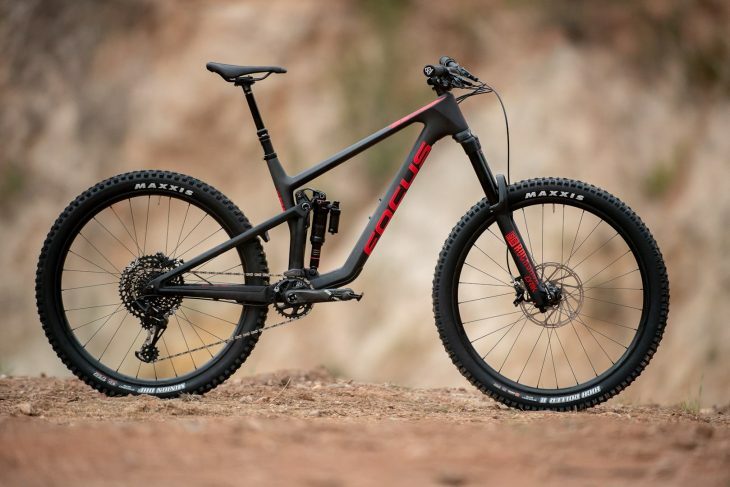 There are now two models in the lineup, both with 27.5 wheels and 170mm of travel: the 8.9 with Fox suspension, carbon mainframe and alloy swingarm; and the full carbon 9.9 with damping duties handled by Rockshox. 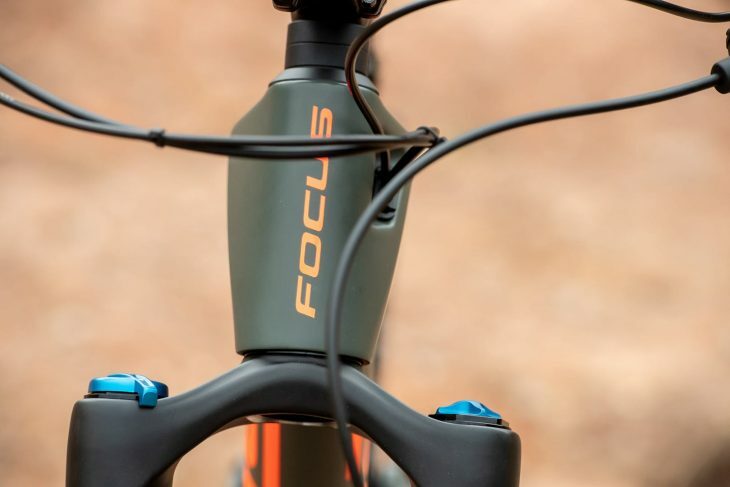 I had the chance to ride the new Focus SAM 9.9 bike at its launch out in Germany. Riding took place at the fun and flowy Trailpark Mehring. 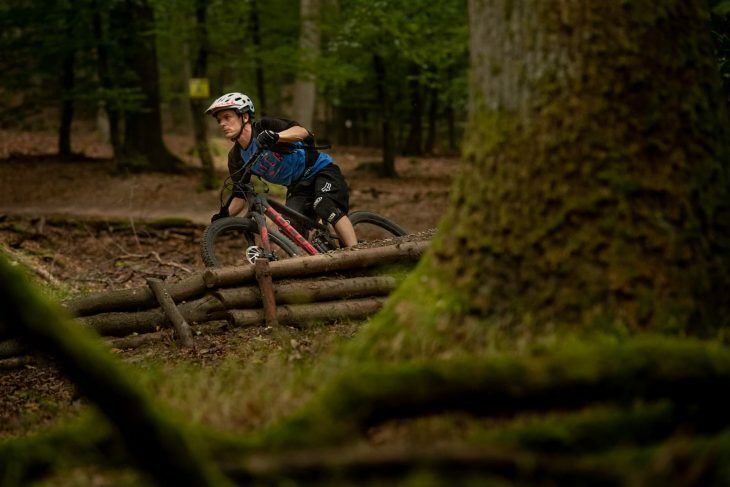 The trails featured a variety of jumps, berms and drops but were otherwise largely smooth, dry and dusty. Uplift was kindly laid on for us, so climbing was limited to a 200m stretch of singletrack between the drop-off point and the trailhead. 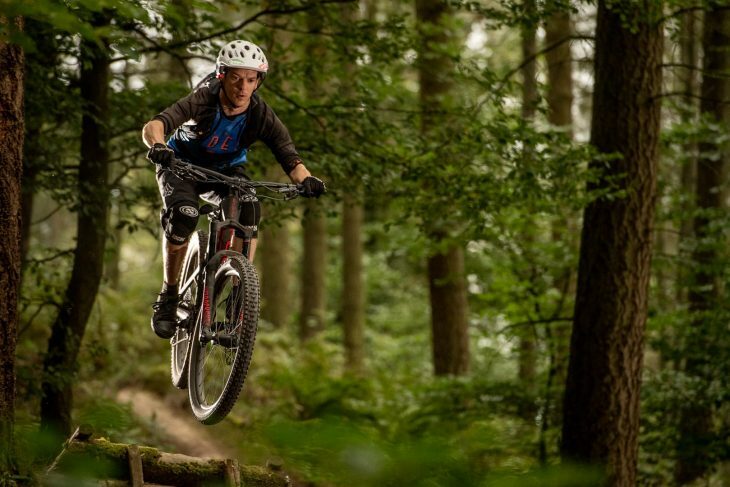 Rockshox gives you bounce on this full carbon beast. Both models come with SRAM GX Eagle. 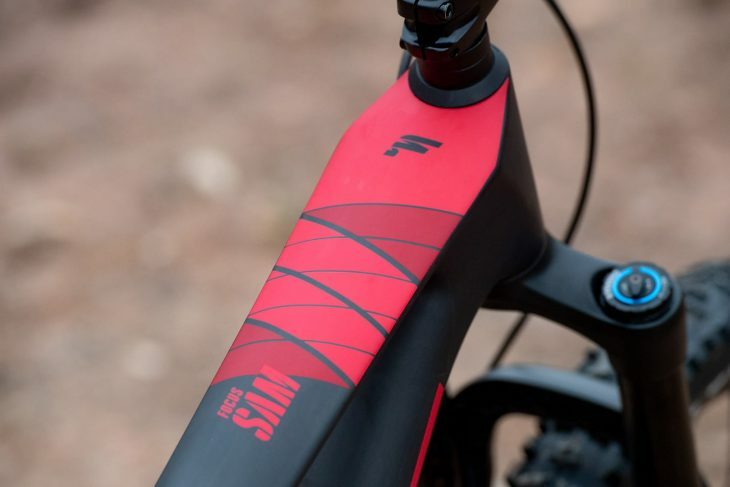 Frame: Carbon front and rear triangle. 170mm FOLD kinematics. IS05, PF30 BB, 148x12mm through axle, internal routing, PM180 rear brake. 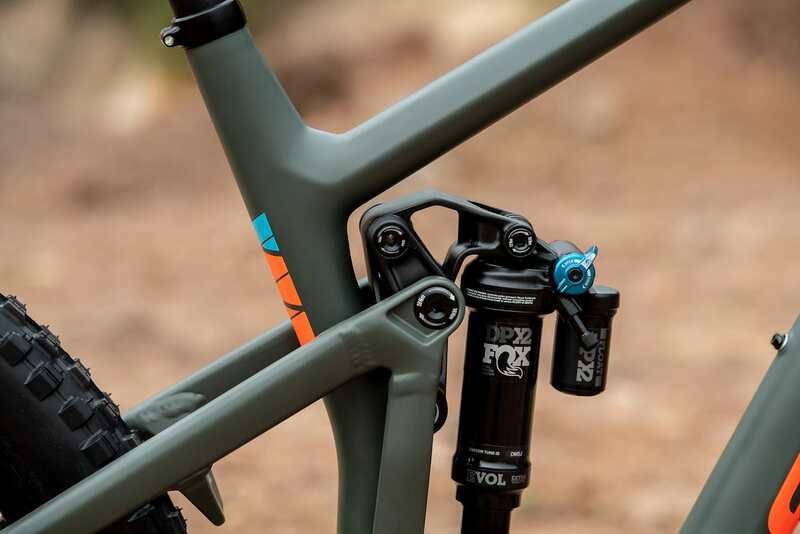 Fork: RockShox Lyrik RC2. 15x110mm QR. 170mm travel. 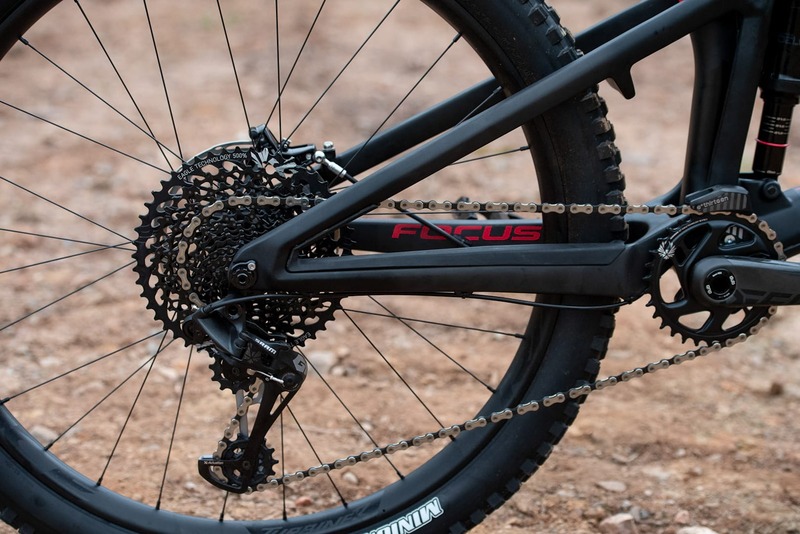 Carbon front triangle, alloy rear, Fox bounce. Two rockers – the F.O.L.D. system. Frame: Carbon front and alloy rear triangle. 170mm FOLD kinematics. IS05, PF30 BB, 148×12 through axle, internal routing, PM180 rear brake. Seatpost: KindShock E30i 31.6 internal. First impressions were good; the bike looked pretty smart, although I preferred the olive of the 8.9 model to the plain matt black of the 9.9. It was also fairly light at around 13.5kg (with pedals) according to my travel scales. Despite my towering 5ft 6in height, Focus felt I’d be best on the size small. 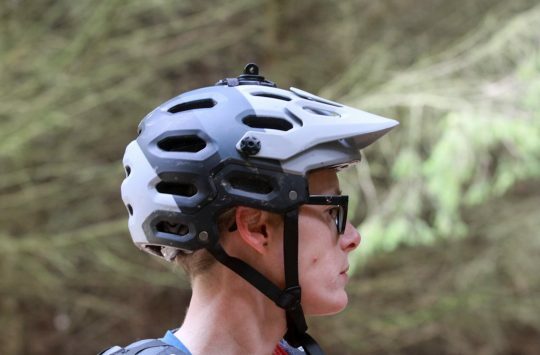 Initially sitting on the bike, it felt quite short even with the fairly average (for a small enduro bike) 420mm reach measurement; I put this down to the relatively steep 75° effective seat tube angle. Once riding, this was quickly forgotten and I soon felt at home on the bike. Rik, looking focussed, on a, er, Focus. 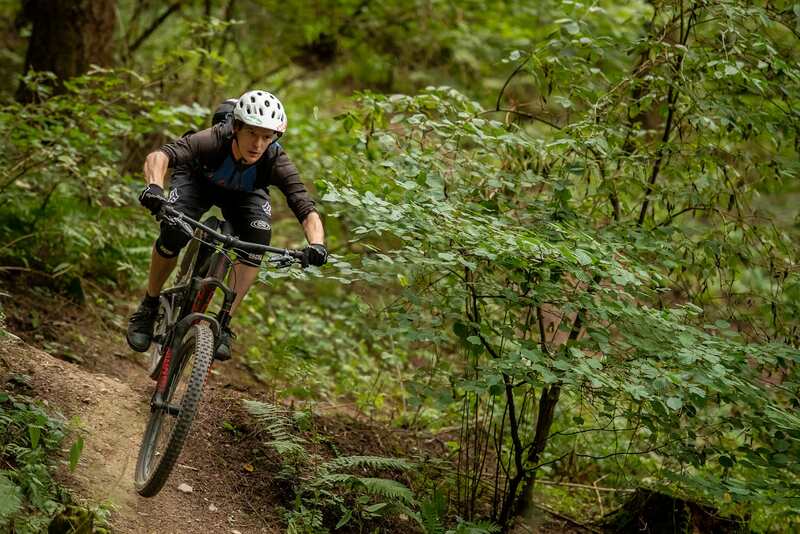 After a few minutes spent setting the fork and shock pressures to my 63kg riding weight, twiddling with brakes and trying to wheelie around the car park, we set off down the trail. On the first couple of runs I found myself blowing through the travel, so once back at the Focus truck I upped the shock pressure. This gave me a bit less sag than recommended (around 28% rather than 30%) but the change was definitely for the good. The bike now felt poppy, balanced and responsive. I found myself looking for more jumps and aiming for bigger drops than I would normally hit. The SAM provided confidence, was stable in the air and seemed un-phased by the large impacts. On returning to the bottom I found I was still blowing the O-ring off the end of the shock, but there was no harsh bottom out. 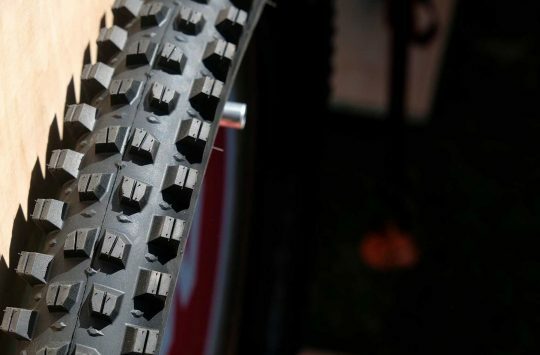 I would anticipate that heavier or more aggressive riders would want to adjust the volume of the shock to encourage it to ramp up a bit more. 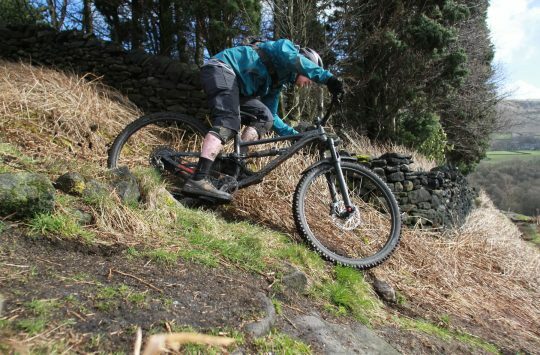 Rik testing out the radder side of this bike. Rik would have liked more opportunity to take this bike on steep and technical stuff. With the enduro tag and the 170mm travel I was anticipating a ‘mini DH’ feel but on the trail, the SAM felt more like a long travel trail bike. I didn’t get the chance to try the SAM out on long or technical climbs, but for the short climb to the trailhead there was no wallowing in the travel, the front end stayed stuck to the ground and on the whole, the bike felt very efficient. On flat ground and downhill the SAM could easily be moved around, it changed direction like an excited puppy and it was easy to get onto the back wheel. The flip side to this playful feel was a slight lack of sensitivity to the suspension which was a touch chattery over exposed roots and rocks. At £5,499 the SAM 9.9 is up against some tough opposition (particularly from the direct sales brands) so if I were buying, I’d be looking more towards the SAM 8.9. 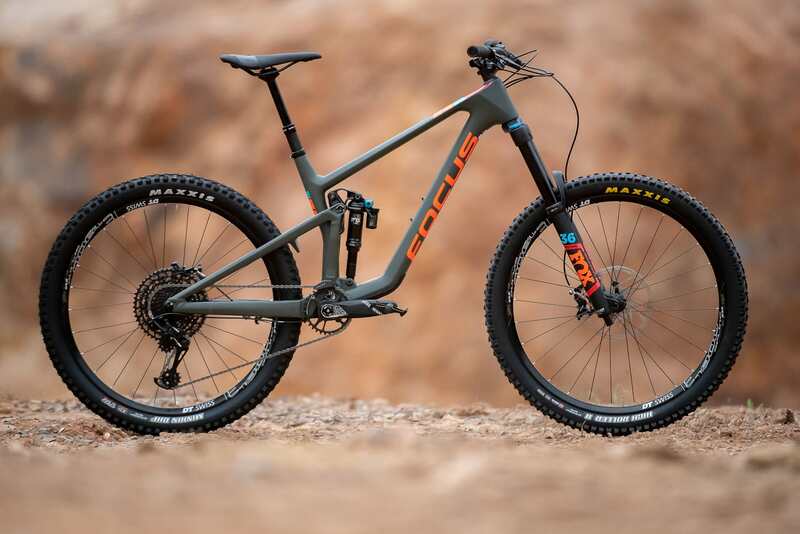 It’s slightly heavier with the alloy back end and has lower spec suspension and components but you still get a SRAM GX Eagle drivetrain and at £3,599 it’s nearly £2000 cheaper… you could buy a bike for that. It’s also in the more aesthetically pleasing (to my eyes at least) olive colour. Rik preferred the looks and price tag of the 8.9 model. 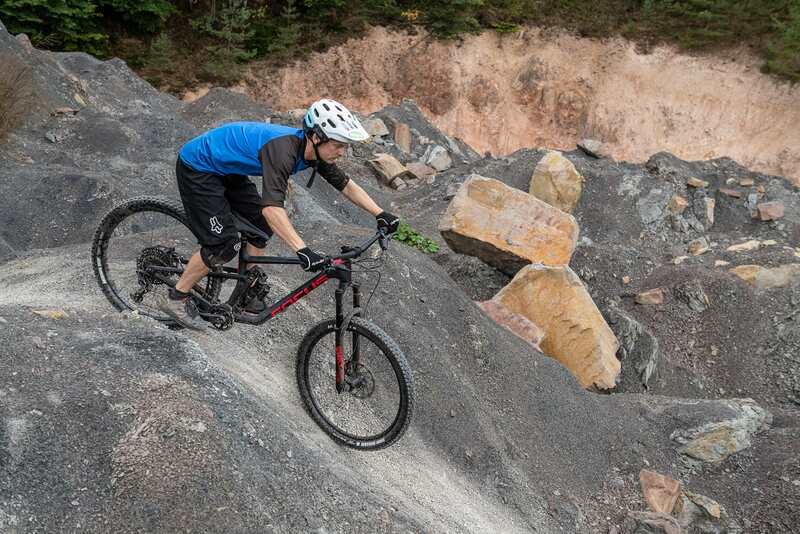 The bike park was fun, but didn’t test all aspects of the bike’s abilities. On the whole, it was a real pleasure to ride the SAM. It felt fast and nippy, and more versatile than the 170mm enduro tag might have you believe. My time on it was quite limited and restricted to the terrain of the bike park, so I can’t really comment on its climbing prowess or how it handles steeper and tighter terrain, but from the few hours I had it seems like a lot of fun. Rik’s travel and accommodation were provided by Focus.